Recently a group of us from Franke Tobey Jones spent the day at the Washington State Fair. 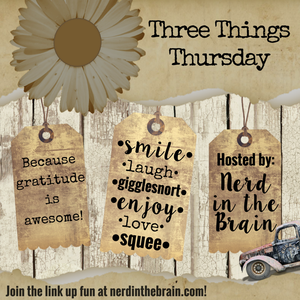 Last week I featured three things that amused me. 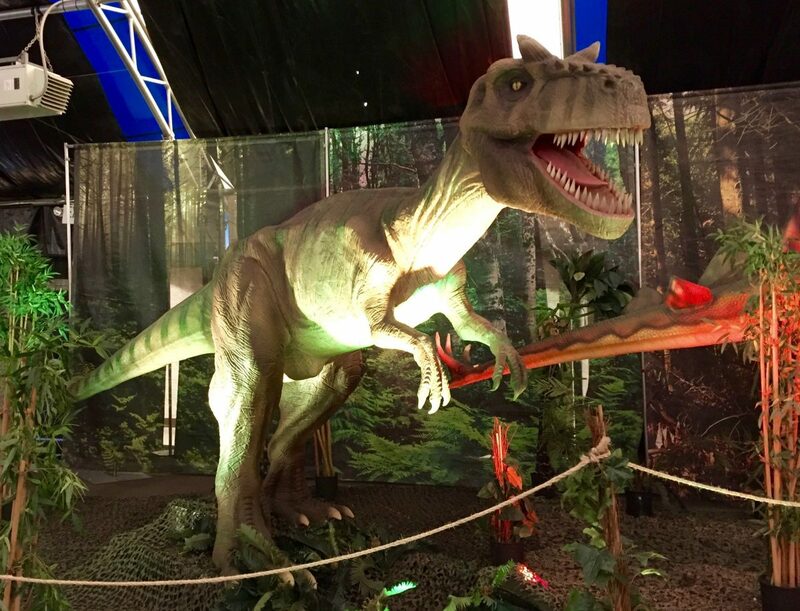 This week I feature three giants from the exhibit Discover the Dinosaurs. Allosaurus, meaning Different Lizard, was a powerful predator that walked on two powerful legs, had a strong, S-shaped neck, and had vertebrae that were different from those of other dinosaurs (hence its name). Allosaurus was 28 feet long and 16 feet high. It weighed 1,500–2,500 pounds and ate meat. As with other ornithomimids, Struthiomimus had a small, slender head on a long neck. Its tail was probably used for balance when running at high speeds of 30–50 mph. It had a straight-edged beak which has lead to suspicion that this dinosaur was an omnivore. 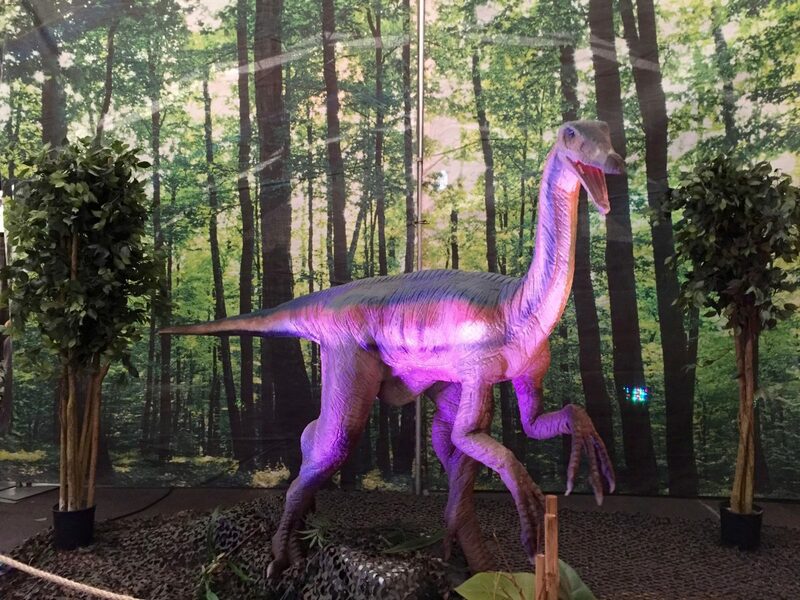 Struthiomimus was 14 feet long and 5 feet high. It weighed about 330 pounds and perhaps ate both meat and plants. There is no evidence to support Dilophosaurus could spit, or that it had a neck frill, as seen in Jurassic Park. 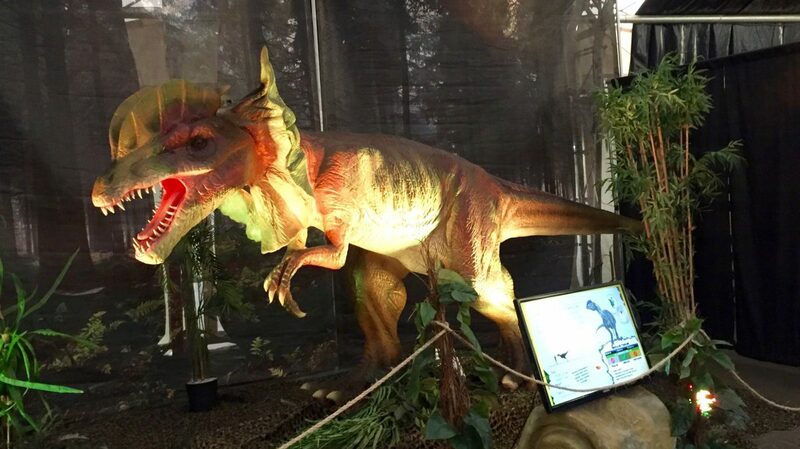 After the model was made for this exhibit, new scientific evidence came to light strongly suggesting that Dilophosaurus did not have a neck frill. It was too late to remake the exhibit, but the signage included the update. Dilophosaurus was 20 feet long and 5 feet high. It weighed 650–1,000 pounds.